The smallest, implantable ISO Transponder for Animal identification in the world today! 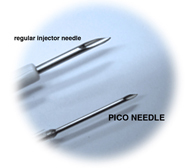 Not only is this the smallest ISO transponder currently available - both in length and in diameter but also the needle use to inject the transponder is designed specially and is very small. Download datasheet on the UNO PICO-ID ISO Transponder! 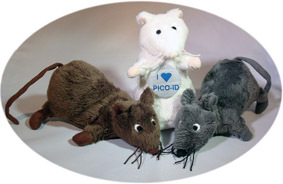 For a free PICO-ID sample, a free mouse or a price quotation, press one of the buttons below.